DRESDEN, ON – The Chatham Daily News reports that a new brewing company founded by a local resident has launched its first two beers. Sod Buster Brewing has been founded by Michael Noltie of Dresden, a small community in the municipality of Chatham-Kent in Southwestern Ontario. 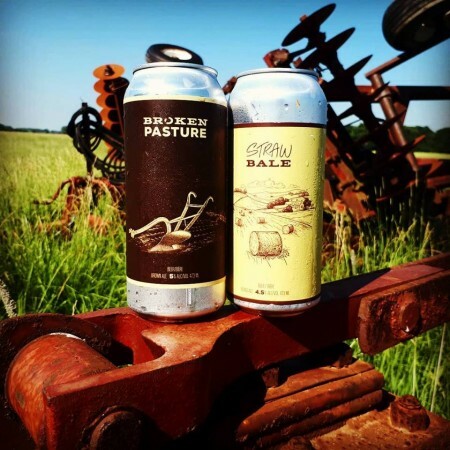 Named after an old term for farming that Noltie’s father used as a citizen’s band radio handle when he was young, Sod Buster debuted in late June with Straw Bale Blond Ale (4.5% abv) and Broken Pasture Dark Ale (5% abv), both of which are available at bars, restaurants, and local events in the area. Sod Buster beers are currently being brewed under contract at Forked River Brewing in London, although Noltie hopes to open a small brewery in Dresden in the future. For more details, see the Sod Buster Brewing Facebook page.